Fresh strawberries, frozen strawberries, strawberry flavor, strawberry jam, jelly or preserves. 2. All foods must be accompanied by the recipe. Recipes become the property of the London Strawberry Festival. 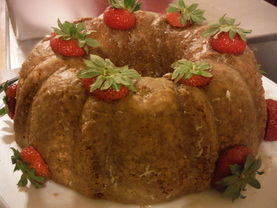 Recipe with contributors name, may be published in a future London Strawberry Festival Cookbook. Photos may be included.